This is one of the best discoveries that our team found on the internet, and this fine gem is a very inspiring house inspiration. Made for Bob & Marilyn McDowells, this place is a lofty place and a definite breather in a rural area. It has a very spacious spot outside that can serve as a parking lot for multiple cars with stone wainscot walls that surround the house. The house is surrounded with a bit of lawn and bushes with a porch that has foundations of wood and stone wainscot to assure durability in all means. 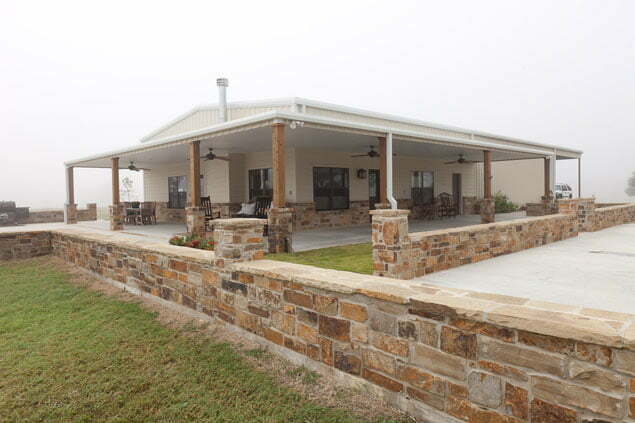 It also boasts a wide view that is sure to be refreshing once you hang out to the porch. The porch also stretches all the way to the back from the right. The interior of the house is a stunner– thanks to its cozy quality. The living room is well adorned with elegant-looking seats and a homey feel. 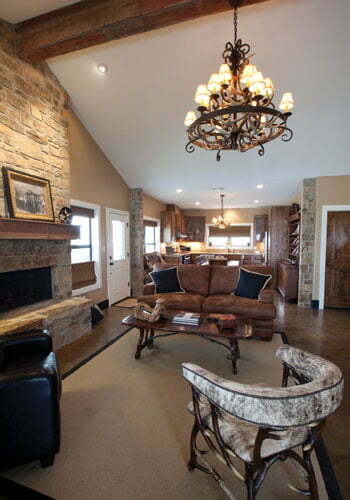 It also has a fireplace to enjoy cozier nights. 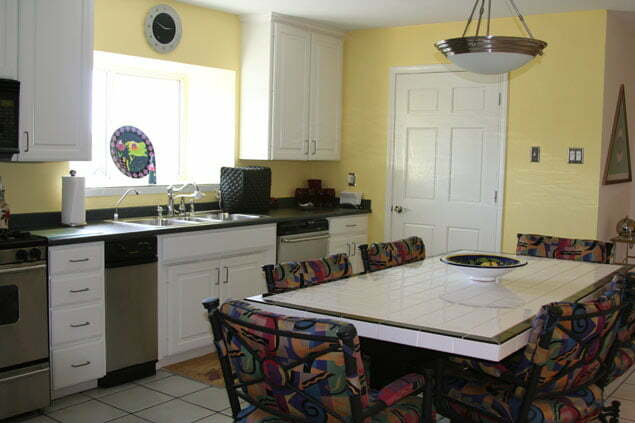 There is a dining room that also serves as a kitchen on the side of the house with shelves for dining and cooking utensils. Beside the dining area lies the master’s bedroom that’s perfect for the whole family. 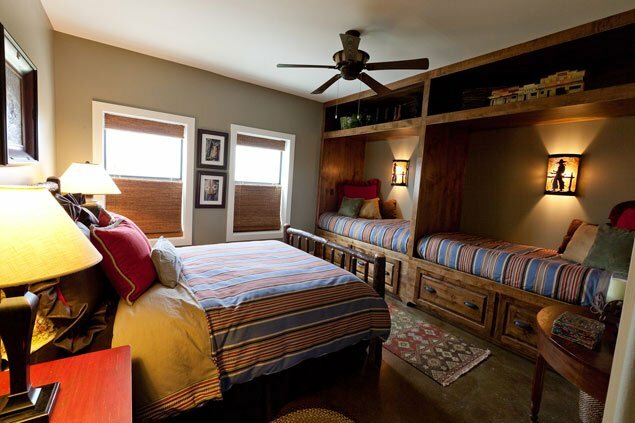 It has a master’s bed with two other beds installed to the wall at the front that can serve as seats. Dim lamps surround the place for a more soothing atmosphere. It is delicately designed to radiate a specially alluring aura. As you can see, steel frames are also being used to build this house in order to provide more durability to it, on top of a spectacular look. Imagine having this truly marvelous bungalow house as your own residence! Stats, Plans, Price: Unfortunately there is no information about this house. All we know is that it was built for Bob & Marilyn McDowell’s. A lofty-looking living room with a fireplace is perfect for cold nights while reading or watching TV. The very cozy bedroom can be your favorite!